He was born in Milan in 1985. He started to be interested in music quite soon... when he attended the secondary school. During this period, he took piano lessons, but he wasn't a good pupil at all ! He didn't study enough... He rather prefered to compose his own melodies and make his friends listen to them. Here begins his story ! In the following years, he was so lucky to meet some wonderful persons, who helped him to keep on his musical research in a concrete way : infact, he joined some non-professional theatre productions, based here in Milan, who asked him to compose songs for them. He wrote several songs for stage and this experience was a very important school, for him. But one day, he felt the need to write music just for himself. Music was becoming, for him, something more important than an hobby. He understood that, through music, he could be able to convey all his feelings, all his emotions. At the same time, he heard... he heard lots of songs, lots of instrumental pieces : new age, classical, folk music, and not just italian... He have always loved celtic sounds, but also the balkanic ones... He heard music from Australia and New Zealand, too. So, he started to write his own pieces... pieces written just for him and for people who really wanted to listen to "him". The result of this research is the release of his first album-self produced under his own label "Bassapadanamylove". 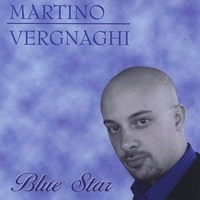 It is called "Blue star", it is composed by 10 pieces completely written by him (music, lyrics, arrangements).